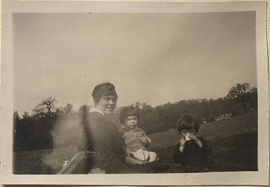 Helen Kermott Penfield, Ruth Mary Penfield, Wilder Penfield Jr., photograph. 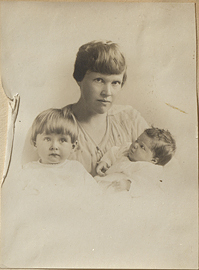 Helen Kermott Penfield, Wilder Penfield Jr, and Ruth Mary Penfield, photograph. 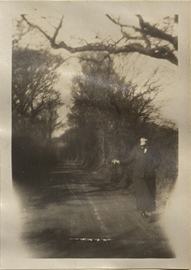 Helen Kermott walking on a road. 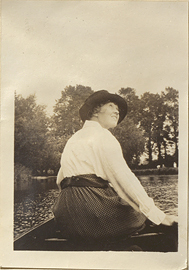 Helen Penfield on a Boat, photograph. 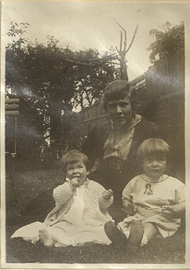 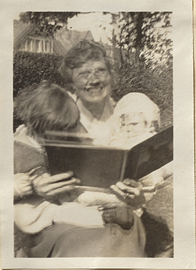 Helen Penfield reading to Ruth Mary and Wilder II, photograph. 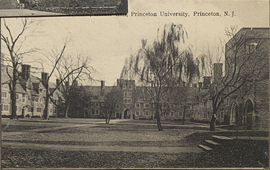 Holder Hall, Princeton University, postcard. 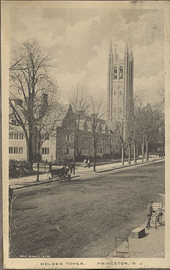 Holder Hall, Princeton, N.J., photograph. 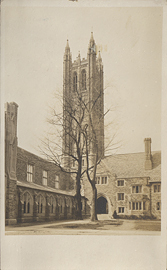 Holder Tower, Princeton, N.J., postcard. 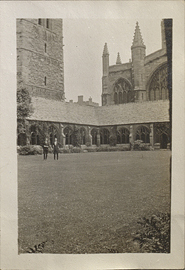 Hollman and Woods - New College Quadrangle, photograph. 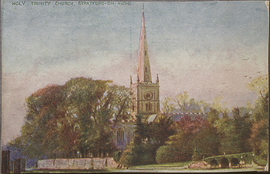 Holy Trinity Church, Stratford-on-Avon, colour print. 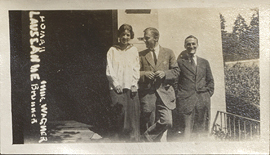 Homan, Mme Wagner, and Bronner in Lausanne, photograph. 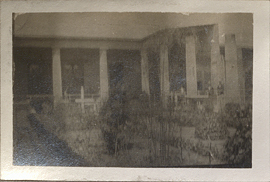 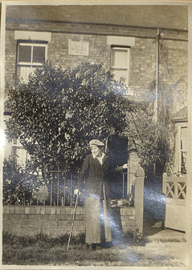 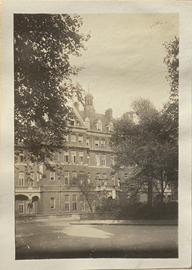 Hospital at Queen's Square, photograph.